Tehran: Iranians on Monday shrugged off the possibility that a bellicose exchange of words between President Donald Trump and his Iranian counterpart could escalate into military conflict, but expressed growing concern America’s stepped-up sanctions could damage their fragile economy. 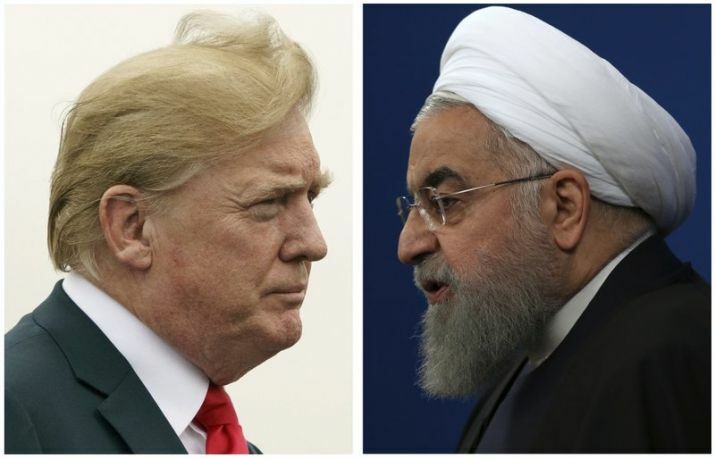 On Monday, the White House said Trump’s tweet shows he is not going to tolerate critical rhetoric from Iran and insisted the US leader isn’t escalating tensions between the two countries. Trump’s eruption on Twitter came after a week of heavy controversy about Russian meddling in the US 2016 election, following the Helsinki summit with Russian President Vladimir Putin. Trump earlier this year pulled the US out of the international deal meant to prevent Tehran from developing a nuclear weapon and ordered increased American sanctions, as well as threatening penalties for companies from other countries that continue to do business with Iran. Rouhani also suggested Iran could immediately ramp up its production of uranium in response to US pressure. Potentially that would escalate the very situation the nuclear deal sought to avoid — an Iran with a stockpile of enriched uranium that could lead to making atomic bombs. Another Tehran resident, Mehdi Naderi, fretted that the US measures and his own government’s policies are damaging the lives of the average Iranian. Trump has a history of firing off heated tweets that seem to quickly escalate long-standing disputes with leaders of nations at odds with the US. US Secretary of State Mike Pompeo flew to Pyongyang for follow-up talks earlier this month, but the two sides showed conflicting accounts of the talks. North’s Foreign Ministry accused the United States of making “gangster-like” demands for its unilateral disarmament. Some experts say Kim is using diplomacy as a way to win outside concessions and weaken US-led international sanctions.